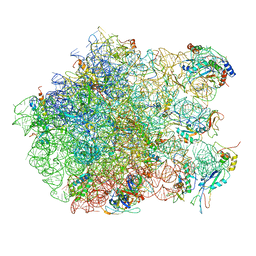 Authors: Schuler, M., Connell, S.R., Lescoute, A., Giesebrecht, J., Dabrowski, M., Schroeer, B., Mielke, T., Penczek, P.A., Westhof, E., Spahn, C.M.T. 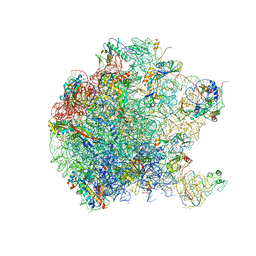 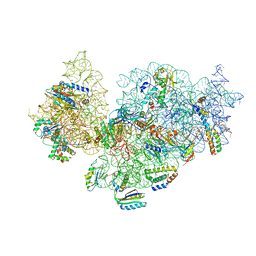 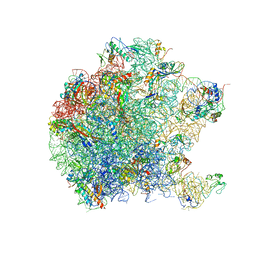 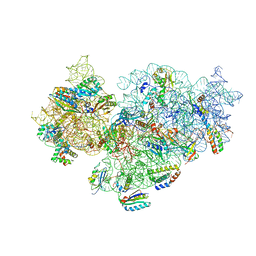 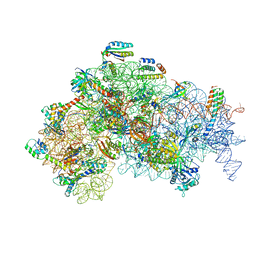 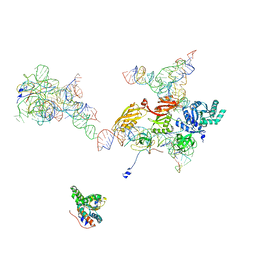 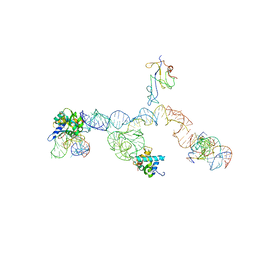 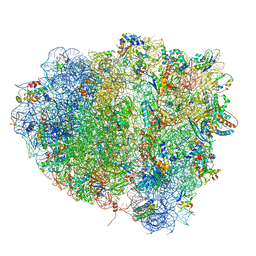 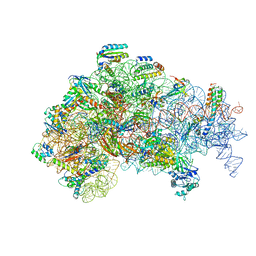 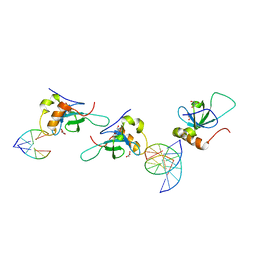 Cite: Structure of the ribosome-bound cricket paralysis virus IRES RNA. 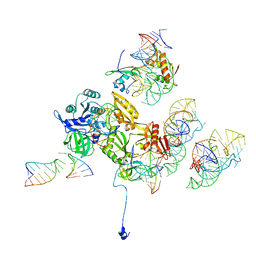 Authors: Ciccarelli, L., Connell, S.R., Enderle, M., Mills, D.J., Vonck, J., Grininger, M.
Cite: Structure and Conformational Variability of the Mycobacterium Tuberculosis Fatty Acid Synthase Multienzyme Complex. 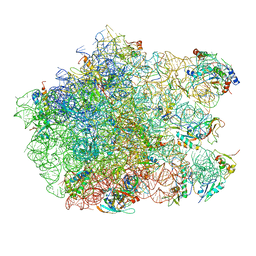 Authors: Schedlbauer, A., Kaminishi, T., Ochoa-Lizarralde, B., Dhimole, N., Zhou, S., Lopez-Alonso, J.P., Connell, S.R., Fucini, P.
Cite: Structural characterization of an alternative mode of tigecycline binding to the bacterial ribosome. 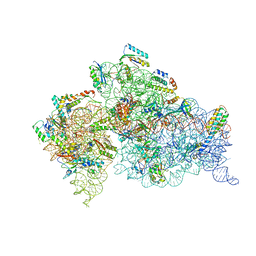 Authors: Kaminishi, T., Schedlbauer, A., Ochoa-Lizarralde, B., Connell, S.R., Fucini, P.
Cite: Crystallographic characterization of the ribosomal binding site and molecular mechanism of action of Hygromycin A. 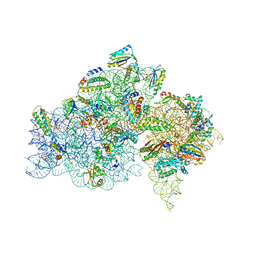 Authors: Schedlbauer, A., Kaminishi, T., Ochoa-Lizarralde, B., Chieko, N., Masahito, K., Takemoto, C., Yokoyama, S., Connell, S.R., Fucini, P.
Cite: Inhibition of translation initiation complex formation by GE81112 unravels a 16S rRNA structural switch involved in P-site decoding. 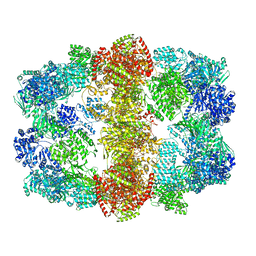 Authors: Lopez-Alonso, J.P., Kaminishi, T., Kikuchi, T., Hirata, Y., Iturrioz, I., Dhimole, N., Schedlbauer, A., Hase, Y., Goto, S., Kurita, D., Muto, A., Zhou, S., Naoe, C., Mills, D.J., Gil-Carton, D., Takemoto, C., Himeno, H., Fucini, P., Connell, S.R. 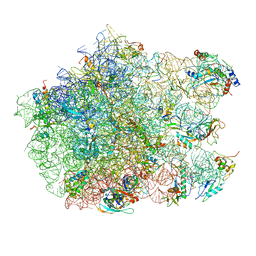 Cite: RsgA couples the maturation state of the 30S ribosomal decoding center to activation of its GTPase pocket. 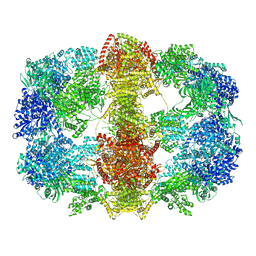 Authors: Lopez-Alonso, J.P., Fabbretti, A., Kaminishi, T., Iturrioz, I., Brandi, L., Gil Carton, D., Gualerzi, C., Fucini, P., Connell, S.
Cite: Structure of a 30S pre-initiation complex stalled by GE81112 reveals structural parallels in bacterial and eukaryotic protein synthesis initiation pathways. 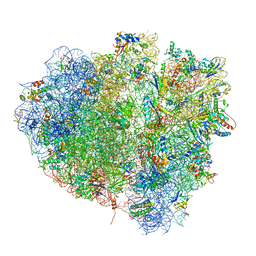 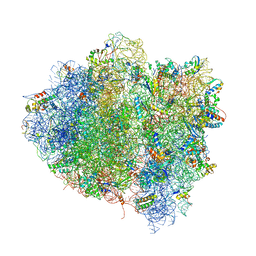 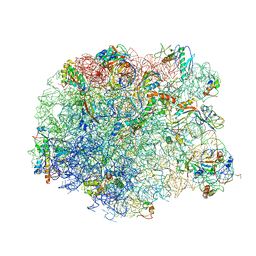 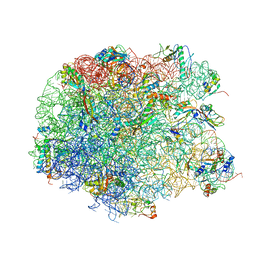 T. THERMOPHILUS 70S RIBOSOME IN COMPLEX WITH MRNA, TRNAS AND EF-TU.GDP.KIRROMYCIN TERNARY COMPLEX, FITTED TO A 6.4 A CRYO-EM MAP. 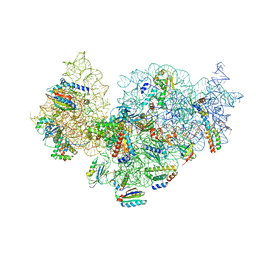 Authors: Schuette, J.-C., Spahn, C.M.T.